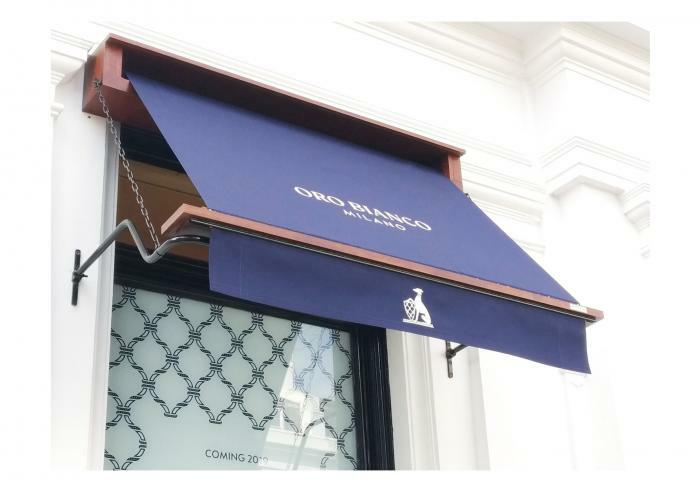 These eight traditional Victorian awnings has been installed at The Oro Bianco Interiors studio on Sidney Place in South Kensington. 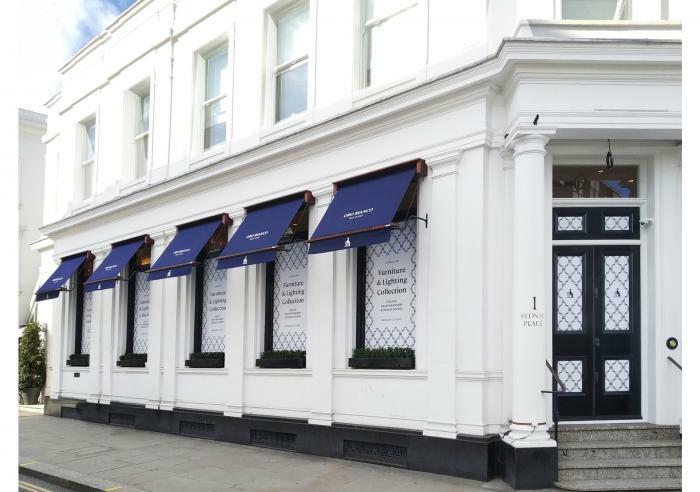 Whilst we normally paint our traditional awning boxes in a pantone colour to match the shopfront these awnings have been stained in a teak finish to accentuate the tasteful decor of the studio. 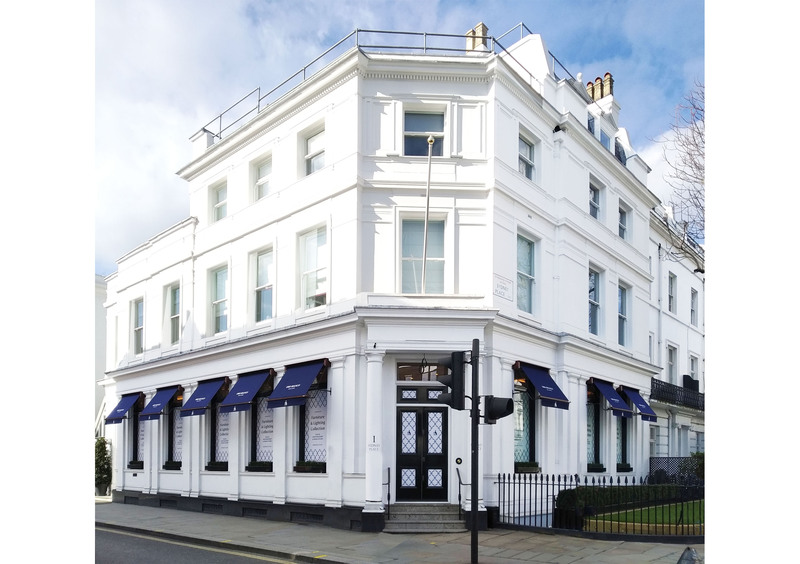 The awnings themselves have all been manufactured using our usual high standard traditional methods which is complimented by the use of modern tooling and technology to ensure the awnings meet the design criteria dictated by the original awning style. 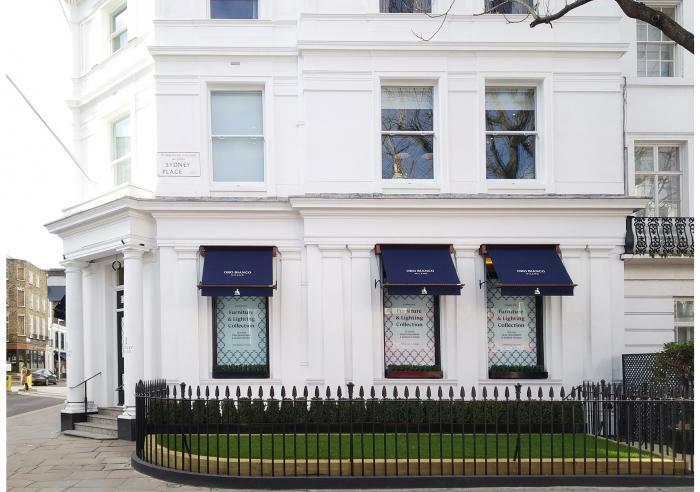 The awning covers have been decorated with the client branding using our bespoke RAGS® graphic application process and the valances proudly display the unique logo of the studio.